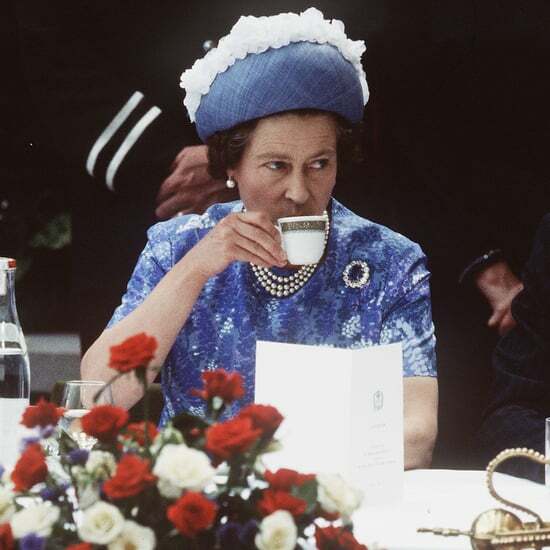 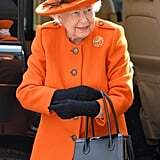 Queen Elizabeth II is up on the trends. 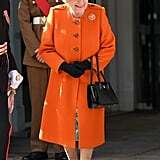 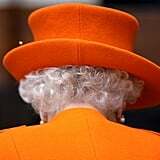 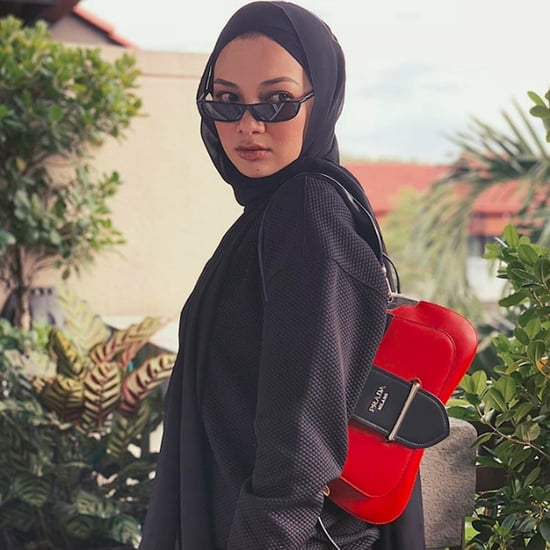 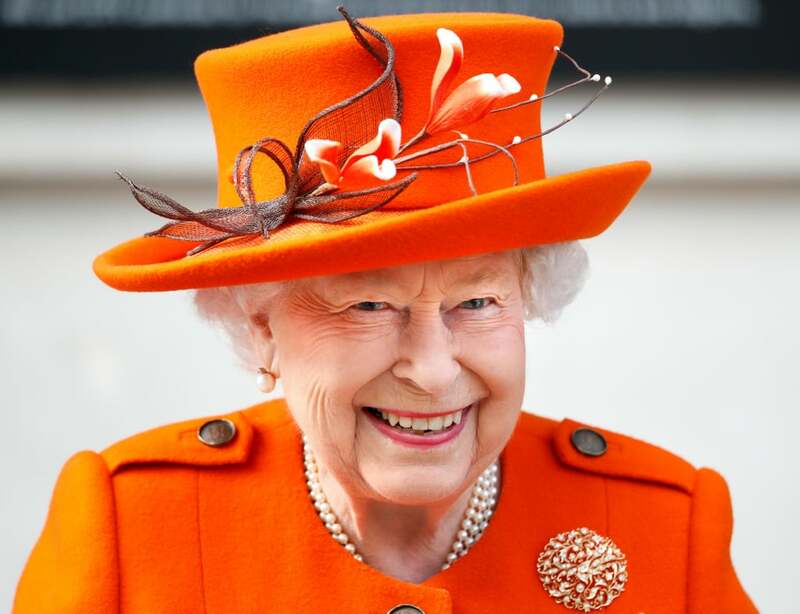 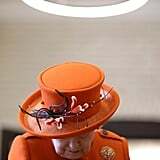 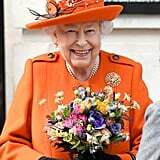 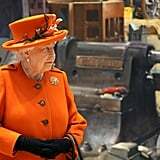 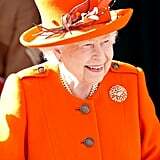 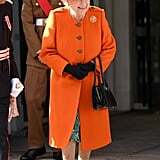 The 92-year-old royal recently stepped out wearing a monochromatic orange outfit reminiscent of the 2019 Pantone Colour of the Year, Living Coral. 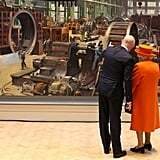 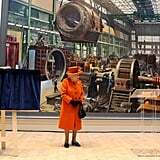 That same day, during a visit to the Science Museum, the queen shared her first-ever Instagram post from the royal family's official account. 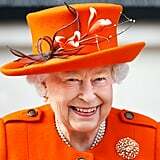 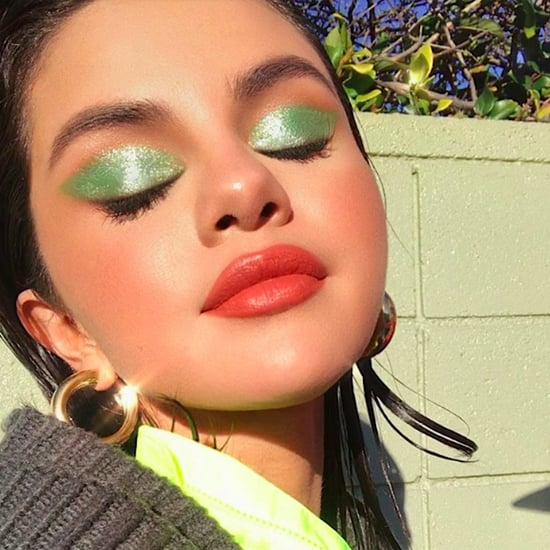 She'll be promoting hair-growth gummy-bear vitamins and teeth whitening products in no time! 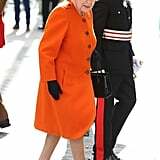 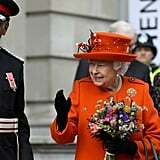 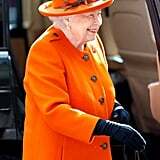 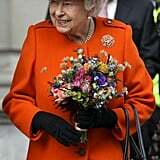 The queen paired her bright coat and beautiful hat with a teal floral-print dress, Gucci loafers, and a Launer handbag. 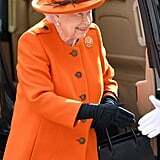 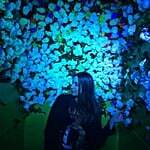 In response to a question about the queen's famously bright wardrobe, her daughter-in-law Sophie, Countess of Wessex said she does it to stand out for members of the public looking on in a crowd. 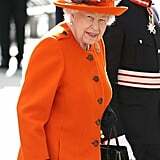 "She needs to stand out for people to be able to say 'I saw the queen,'" said Sophie. 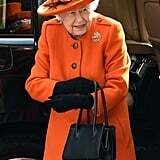 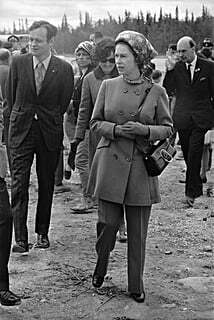 Something tells us that between her distinct look and usual entourage, however, the queen isn't too hard to spot.